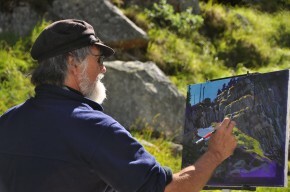 Artist Biography: Mark Hobson - Mark Hobson • Coastline Art Inc.
MARK HOBSON lives in Tofino, B.C. 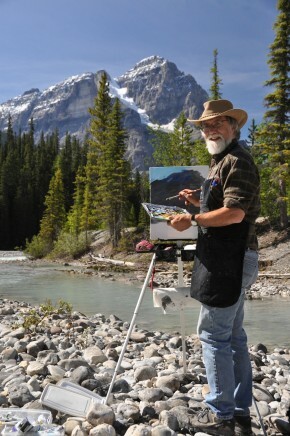 Canada on the rugged west coast of Vancouver Island, where he has painted professionally for over thirty years. Born in Vancouver in 1953 he grew up in various parts of B.C. alternating with living around the world in locations as far flung as Sri Lanka, Bangladesh, and Portugal. His teenage years were spent in boarding schools, including two years in Northern Ireland. Drawing almost every day in his early years he gradually taught himself skills in watercolour, oils, and acrylics. 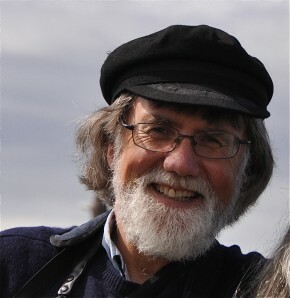 Mark is best known for his passionate portrayals of the wildlife and landscapes of the Canadian Pacific coast. From pounding surf to misty coves, from rain forests to the underwater realm the careful use of light is always present enhancing subtle drama in his work. Professionally trained as a biologist, he taught high school science for nine years before devoting his career full time to painting. Mark's work has won awards internationally and has participated in shows as far afield as London and Hong Kong. In 2018 his skill as a seascape painter was recognized by International Artist Magazine when he won their Grand Prize in a competition titled “Lakes, Rivers and Seascapes”. A few months earlier he was awarded the prestigious 2017 Simon Combes Conservation Award by Artists for Conservation in recognition of his life long commitment to art and environmental causes. At age thirteen he won the top art prize in the British Isles in the annual school competition sponsored by Brooke Bond Tea. In 2009 he placed third in International Artist Magazine’s competition, “Seascapes, Rivers and Lakes” and in 2010 was featured in the magazine’s August cover story. Over twenty of his wildlife images have been printed by Ducks Unlimited as fund-raising limited edition prints and in 2006 he was chosen their Artist of the Year. On three occasions he has won the Pacific Salmon Foundation’s stamp competition and the Royal Canadian Mint has four times invited him to design coins for their collector’s editions. The National Geographic Society has displayed his work in Washington D.C. Mark is a signature member of the Canadian Federation of Artists and was selected as a member of the Society of Animal Artists in 1997. He was B.C.’s Wildlife Artist of Year in 1996 and four times Artist’s Magazine annual competition has awarded his wildlife images high honours. Browse the photos below of Mark Hobson. Click on any of the photos to view more photos.